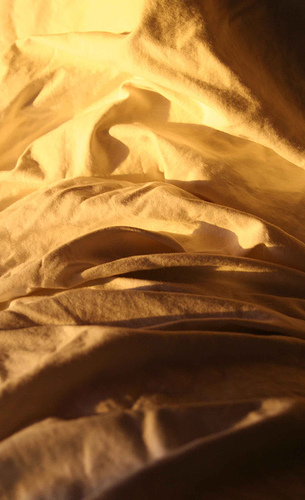 I shared the other day about the freedom a messy spirituality is inviting me to and my dream of rumpled sheets. Then over the weekend there was this brilliant moment when the sun was illuminating my sheets and I captured it in the photo below. What does the image evoke for you? What words are stirred? Feeling particularly messy and rumpled at the moment, I will most definitely PLAY! You see, I have realized… Sheets are NOT meant to be left folded in the package. Or covering a bed and not used… Sheets are meant to be rumpled. And so is life. was how you started your day. “The bed will just get rumpled tonight! less neat around the edges. And then the hospital corners come back.